A very rare Immaculate 1 owner low mileage LE500 254/500. Full spec and having covered just 7,081 miles YES 7.081 miles. 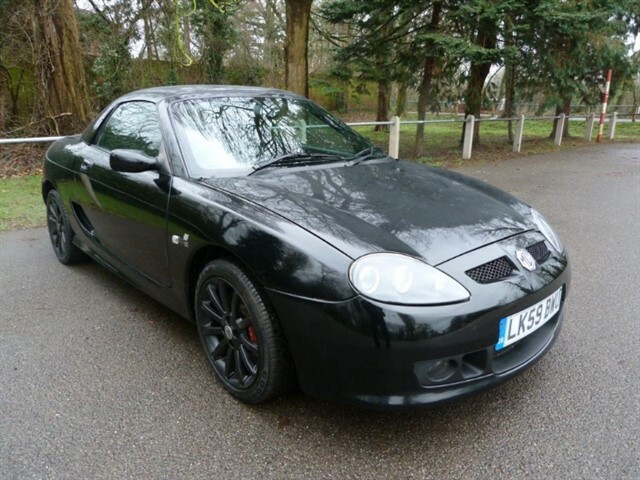 Colour coded hardtop, black softop with heated glass screen, Air conditioning, Black leather sport seats, Black console/door trims, unmarked 16" 11 spoked alloys, soft ride suspension, Abs braking with 4 pot Red brake Calipers, engine water level sensor, front fog lights, chrome packs, rear park censor, wind deflector etc. 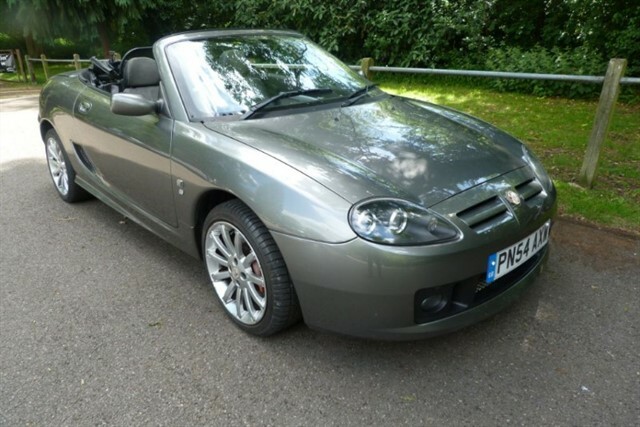 Repeat 1 owner and just 7,081 miles, supplied with a full service and a new cambelt and water pump etc. Full service history. Two sets of keys, all the original handbooks, remote stereo handset, hood cover etc. This LE500 is totally immaculate thoughout. 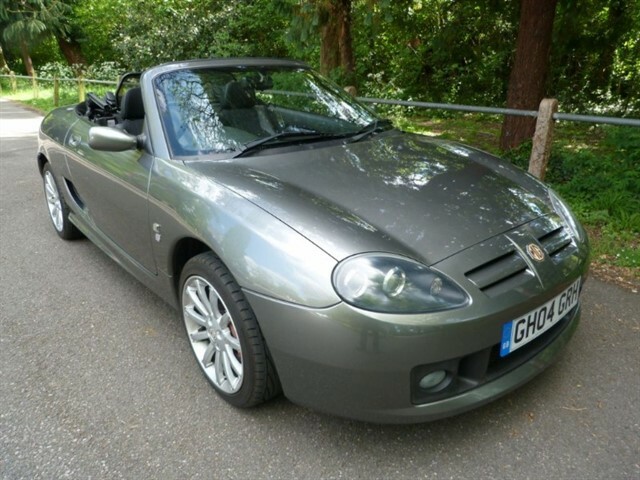 Just in.........A very low mileage TF160vvc having covered just 15,000miles, with full service history etc, previously supplied by us and known to us since 2013 @ 5,500 miles having purchased it from its original owner. We have since supplied it three times to MGCC / 'F' register members. 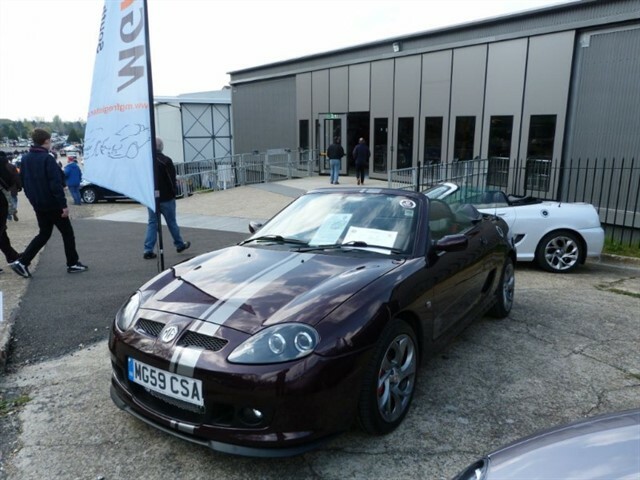 Fitted with a colour coded removable hardtop, Black half leather sport seats, sports pack 2, front fog lights, wind deflector, etc. Outstanding condition. Sorry but now SOLD to the very nice Gent from Redhill. 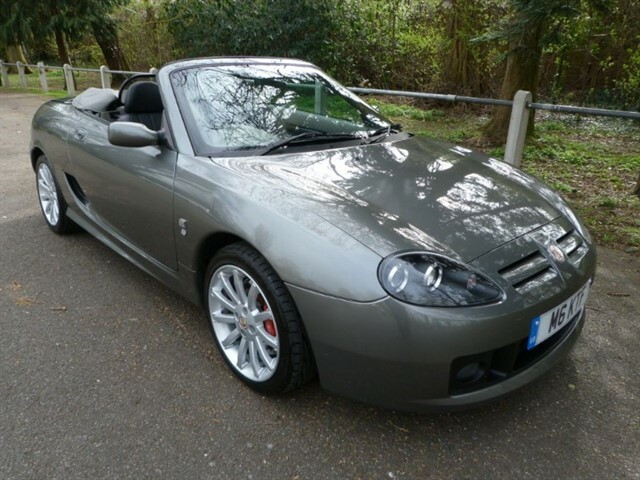 Here we offer a superb TF135 Spark 'SE', the last ltd edition made by MG/Rover. Previously supplied by us in 2015 @ 46,000 miles with a new headgasket etc, full service history and mot history. 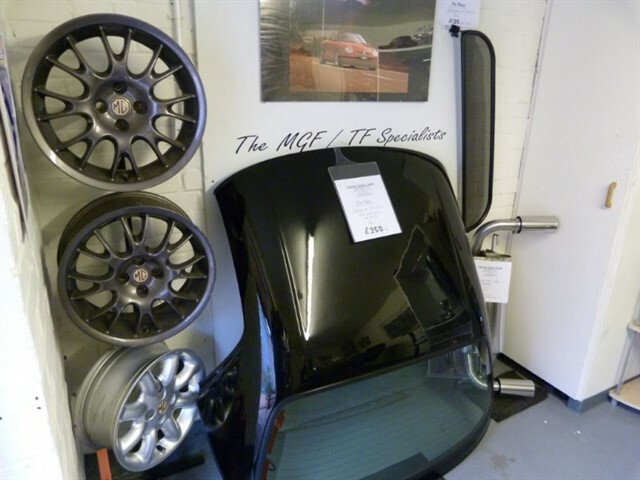 These High spec models fitted with Sports pack 2 with Abs braking and 4 pot brake calipers, 16"11 spoke alloys, Black leather sport seats with Grey alcantara inserts with the 'MG Logo', Chrome packs, Silver interior pack, front fog lights, wind deflector etc also supplied with a colour coded removable hardtop. We have just Moted & serviced this Spark plus fitted a new Cat & Lambda Sensor. 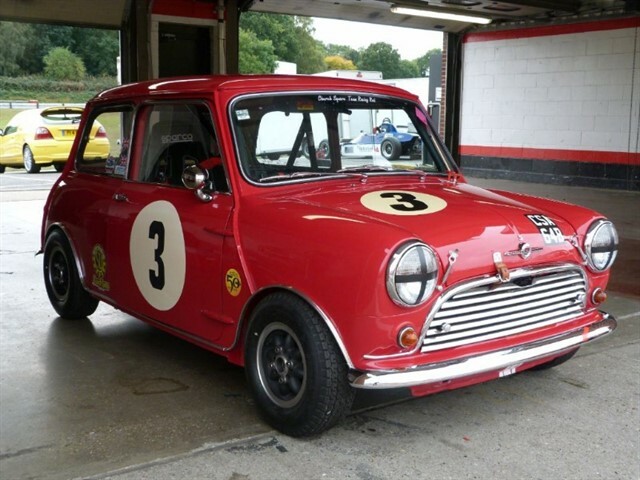 Our Mini Cooper 'S' Appendix 'K' racecar is now for sale. Fully period detailed car. Had a no expense spared Full Nut and Bolt rebuild over a 3 year period. The bodyshell was blasted and had a bare metal respray. Fitted with the Latest Swiftune total engine/gearbox etc, No expense spared, Just 7 races in total over the last 6 years, Engine/gearbox fully serviced at Swiftune and just 30 miles testing since. With logbook. This Mini is totally immaculate in every respect and in period detail. Only selling as we are now busy rebuilding our racing Ford Anglia (Broadspeed), plus racing our other Ford Anglia and Prefect......£51950 ono. We are agents for KMAPS and offer a while you wait service for your late MGF's MGTF's & LE500/85th's....................We also offer to repair/replace your Pektron relays and in most cases we can supply your cars Key entry code. We can also offer this service by post. Please speak with David. 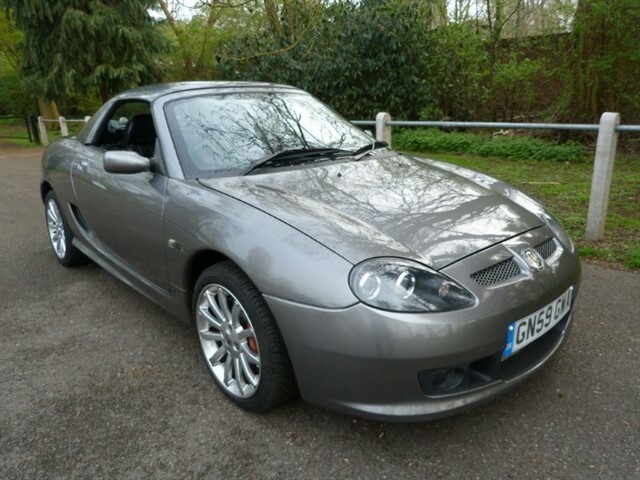 We have a selection of Hardtops forsale these fit both MGF's & TF's,..... Heritage hardtop with leather head lining in Nightfire red (CAQ) immaculate ,..... Silver (MNX)superb condition,.....2 x Xpower Grey (LEF) immaculate condition,...... Please see our new/secondhand parts page.